Our cornerstone is the calibre and capabilities of our staff, ranging from design, control strategy, regulatory compliance and ensuring delivery on time, every time through to commissioning, client handover and technical support. We are the only distributor to receive carbon trust accreditation for our experience helping clients achieve lower energy consumption using heat pump technology. We offer a complete design service for both Air to Water (A2W) and Air to Air heat pumps. Whether it’s a full design for a new build, advice on using renewables to lower energy costs or a spare part for an old air conditioning unit, we care about doing the right thing for our clients. 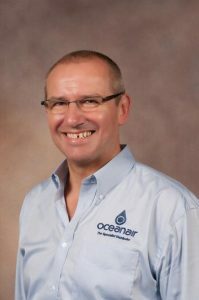 Established in 2002 as two separate companies Oceanair earned a reputation as a specialist distributor of air conditioning brands Sanyo, Fujitsu and, after their takeover of Sanyo, Panasonic. Since 2011 the two branches in Crawley and Nottingham have come under one ownership, and Tony Evanson, Managing Director has big plans for the company. A number of significant projects kicked off in 2012, as well as further expansion into the heating market, broadening our product range substantially with Panasonic's range of heat pumps after the formal takeover of Sanyo. 2013 saw recognition for this hard work. With a number of industry awards acknowledging the Carluccio's project, firstly at the National Heat Pump Awards where it received “The Highly Commended Installation of the Year" then at the RAC Cooling Awards when it was a finalist for "Heat Pump Project of the Year" Award. The jewel in the crown was the coveted ACR News "Distributor/Wholesaler of the Year" award which Oceanair won, up against competition from a number of national wholesalers and large distributors. 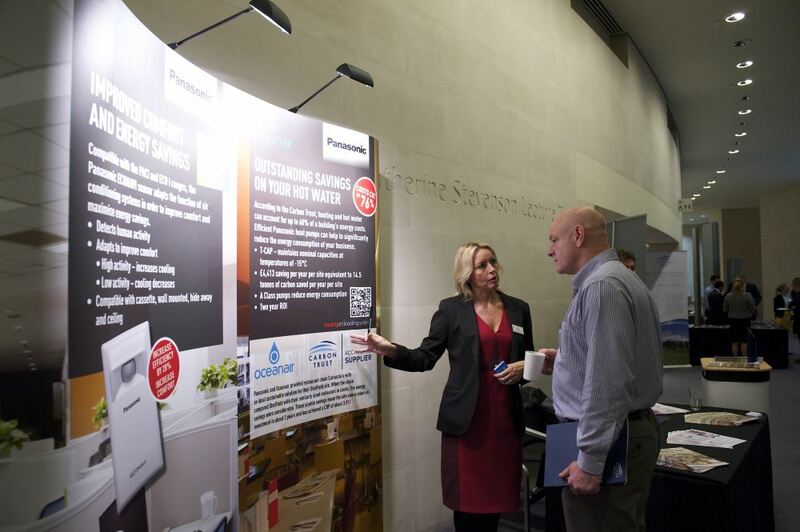 2014 saw a partnership with FWP & Oceanair win a Panasonic Pro Award, in the inaugural competition contested by organisations from 28 different countries. The pair won the 'Best Restaurant' award for the Carluccio's project where a solution the judges described as "simple, intelligent and effective" was implemented in a restaurant with limitations in space, combined with a big need for hot water, the savings the system achieved paid for itself in 18 months. In 2015 Oceanair was dubbed the first ever Carbon Trust 'Heat Pump Accredited Supplier’. We earned such status by demonstrating, under considerable scrutiny, our longstanding commitment to designing and delivering low carbon, sustainable heat pump applications we have maintained our status on the Green Business Directory ever since. 2017 sees Oceanair join in Partnership with Daikin to add their considerable product range and Industry expertise to our own and the future looks very bright!